Description: This 1992 photo shows SR-71 flight engineer Marta Bohn-Meyer in front of one of NASA’s SR-71 aircraft on the ramp at the Ames-Dryden Flight Research Facility (later, Dryden Flight Research Center), Edwards, California. 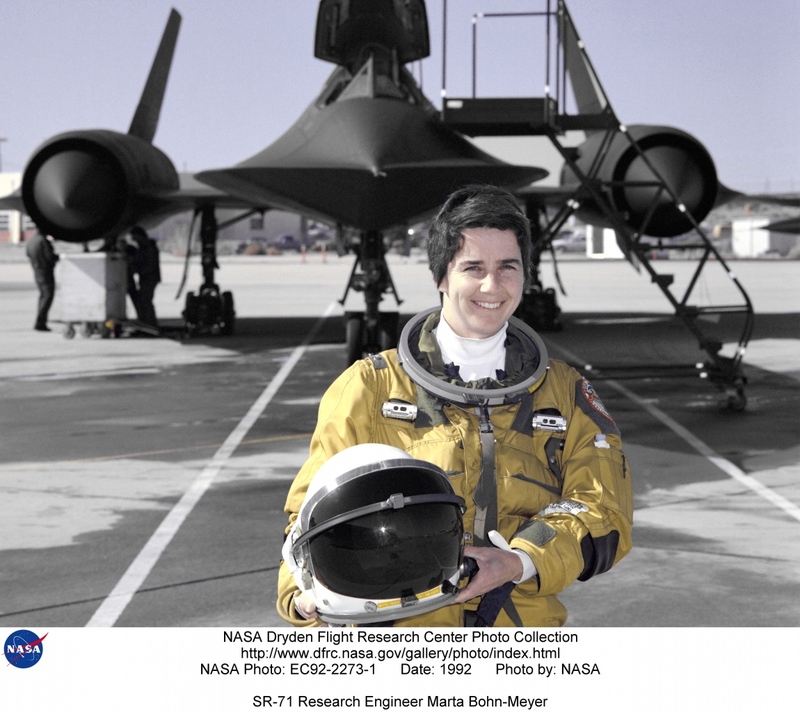 An aerospace engineer who has been at Dryden since 1979, Bohn-Meyer is the first female crew member ever assigned to fly in the SR-71. Data from the SR-71 program carried out by NASA could aid designers of future supersonic aircraft and propulsion systems. Keywords: SR-71; Dryden Flight Research Center; U.S. Air Force; sonic booms; Jet Propulsion Laboratory; LASRE; YF-12; Dave Lux; Steve Schmidt; Lockheed Skunk Works; Lockheed Martin; Pratt & Whitney; Marta Bohn-Meyer; flight engineer; Blackbird; high speed research; supersonic research; Mach 3.